Posted	 July 26, 2018 by	Siri Singh Sahib Ji & filed under Sikh Art Corner. And from the depth of his meditative Wisdom. Oh, Sikhs of the Guru! Oh, Khalsa! 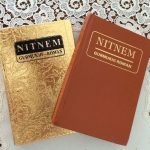 The Nitnem is the Command given by the True Guru. And it is by God’s Grace that you will be merged with Him. When your Soul feels sad, recite ]apji in the depth of your Inner Self. When your body feels useless, recite Shabd Hazaare. When your Dignity is threatened, meditate on ]aap Sahib. 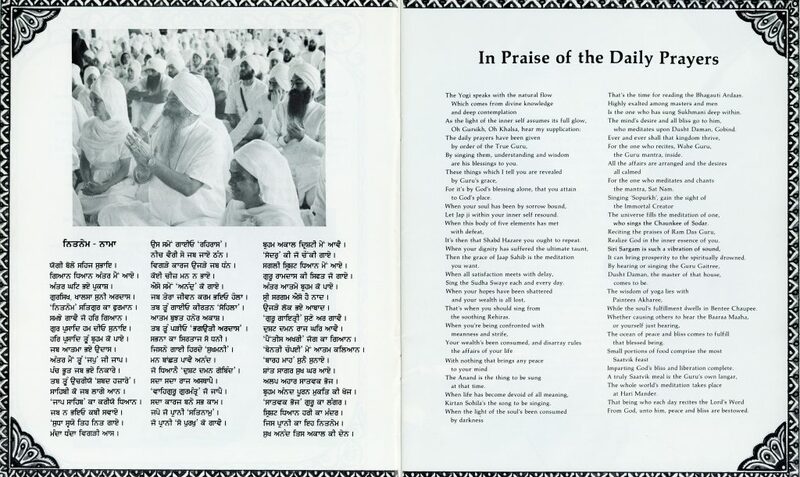 When nothing seems to satisfy you, sing Tav Prasad Swaye each day . That is the time to sing Rehiras. That is the time to sing Anand Sahib. That’s when you should sing Kirtan Sohila. 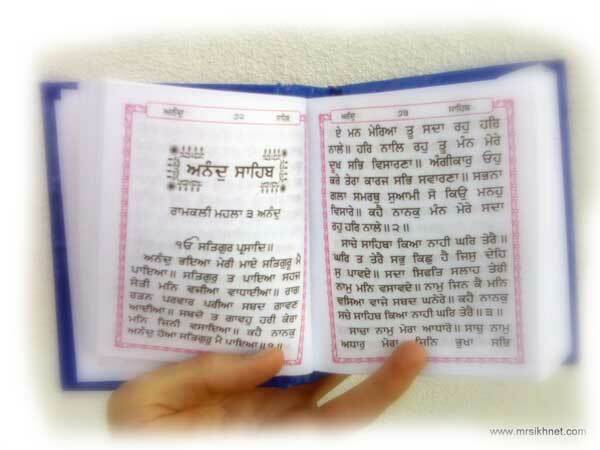 Then recite the Bhagauli Ardas. You shall be wealthy and exalted, beyond your wildest dreams. Is yours, when you meditate on Gobind, the destroyer of cruelty. Shall endure for ever and ever. And all your desires are fulfilled. Of the one who sings the watch of the So Dar. God manifests in your Innermost Soul. That hearing it, even the homeless shall find a good home. Rishi Dusht Daman will be the Protector of your home. The Paintees Akharee gives the understanding of Yoga. Benti Chaupee liberates the Soul. His home becomes an ocean of Peace and Bliss. One experiences the Bliss of Brahm, and complete Liberation. The Guru’s Langar is the very best food! The entire Universe meditates at the Harimandir. Is blessed by Akal with Peace and Bliss!